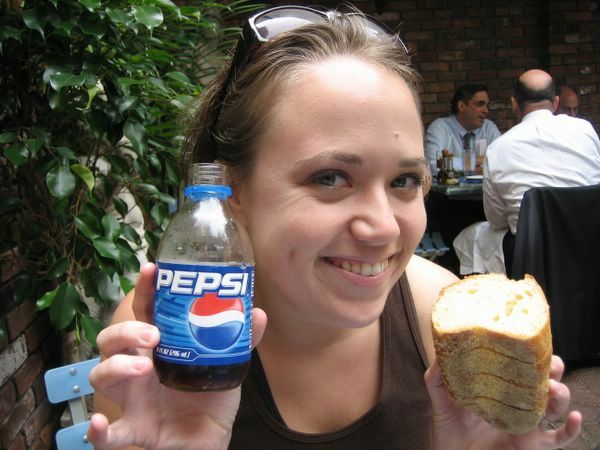 little italy has little pepsis. and delicious bread and food! little italy and chinatown and god i loved NYC. you could eat at a different rest. every day for the REST of your life! I want Italian, instead I am stuck at school with my sandwich. Is it better than STL Italian???? i'll take that hunk of bread, please.